Five of us trudged across a plowed field into what looked like a stand of trees. It proved to be a perimeter screening twenty yards of motorway starting at the outer edge of the clearing and ending at a heavy steel shutter set into the side of a grass-covered mound. Within lay the command centre of Region 6, a bunker for the protection of a handful of lunatics, who, having destroyed their country in a nuclear war, would continue the rule of Law. The publication of the government’s plan changed the public’s attitude to the government and to nuclear war. I will never forget my first sight of the long neon lit office corridor sloping down into the earth. The terror of being among the first civilians to possess the knowledge and the subsequent actions to make it public has never left me. Edward Snowden is a man who walked into Hell. He has chosen, for our benefit, to live a life of fear and isolation. There is very little we can do for him. 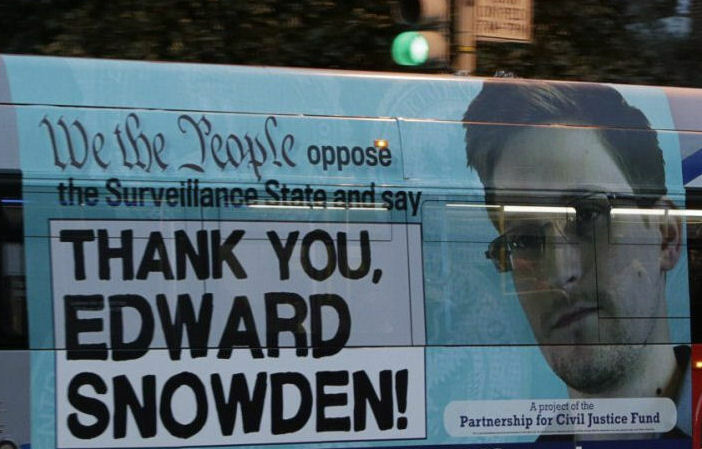 Thank you Edward Snowden; send it viral. This entry was posted on 27 December, 2013 in homepage and tagged Edward Snowden, rule of law, We the People.Viral truth. Bookmark the permalink.